Minimize returned checks and offer payment choice to your customers. Accept ACH and check payments with the industry’s highest level of protection against fraudulent and returned checks. The ways your customers buy goods and services are evolving every day. Check acceptance is no longer limited to paper checks. Consumers are now making virtual payments from their checking accounts using a variety of devices, including computers and mobile phones. Consumers and businesses alike are looking for alternatives to replace high-cost payment types without assuming more risk. Expand your payment solutions to give customers the option of paying directly from their checking account. 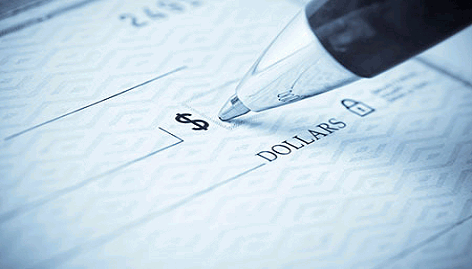 We make sure that every check transaction mitigates as much risk as possible, no matter what type of check you receive. Give your customers the most options, which means that not only can they use paper checks, but electronic checks, as well. Network Payments teams up with the perfect vendors to provide you with the best check processing services. Learn more about our state-of-the-art Protect your customers’ personal information from identity theft by viewing our video resources here. Contact us today for more information.